Building equity can be a great way to get rich, but it should never come at the expense of your liquidity or else you might find yourself in bankruptcy court one day. Learning to manage your liquid assets intelligently, even if it means saying no to accelerated debt reduction when you'd like nothing more than to pay off your balance early, is part of financial maturity and experience. It is often known as handling your liquidity risk. Homeowners are not exempt from this reality. 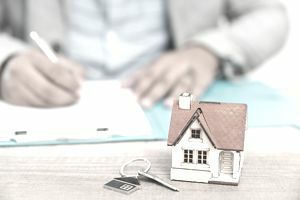 It is culturally given that nearly everyone within the United States has a desire to own his or her own home outright; to enjoy real estate ownership free and clear of the encumbrance of a bank or financial institution is part of the American dream. Nevertheless, unless you are in a position to wipe out the entire balance of the mortgage on your primary residence, making extra payments to lower the principal balance could lead to financial disaster, especially if you haven't maintained your emergency fund. That may be hard to believe, but it's the truth. When the economy goes south, having enough cash on hand to survive a job loss, medical disaster, or family emergency can mean the difference between sleepless nights and inner peace. Imagine you own a bank. You have two customers, John and Mary, both of whom own a house appraised at $200,000. John has become a total deadbeat, is up to his eyeballs in credit card debt, leases his car, has almost no liquid assets, and has an unstable employment history. Mary, on the other hand, has excellent credit, and although she doesn’t have a lot of excess savings available, has faithfully made double or triple payments to lower the balance on her mortgage, which now stands at just $15,000. She is eagerly looking forward to the day when she can send that last voucher to the bank and know that her house is totally and completely her own. Now, imagine that both suffer disaster. Perhaps they were in an accident and unable to work or were laid off due to a recession. As the bank, you aren’t going to notice until a payment is missed. You’re really going to perk up and pay attention when sixty days have passed, and no checks have been received in the mail. At some point, a threshold is passed where banking laws and regulations require that you recognize it is possible you might not receive any more payments from either John or Mary. Of course, the bank employees want to avoid this because it lowers their reported profitability, lessens the strength of their balance sheet, makes their regulators upset, and gets the owners (or shareholders if the bank is publicly traded) gunning for them to change the situation or risk losing their jobs. To avoid this, the bank staff is going to take proactive measures to get the loan back on “accrual status” as quickly as possible so that it won’t damage the financial statements. The main way this can be done is to foreclose on the property and auction it to a buyer. From your perspective as the bank owner, who are you more likely to go after first? John, who has almost no equity in his home, or Mary? If you were to foreclose on John, you are going to have to recover nearly the full $200,000 asking price to wipe out the loan on your books. If you foreclose on Mary, you can liquidate the property at a steep discount very, very quickly and wipe out the full $15,000 loan. Yes, Mary has been a very good customer. Yes, she has done everything right. Perhaps it’s not fair that she is the first one you would go after but to understand why this is done, you must realize the incentive structure set in place for the employees by Wall Street which is, in turn, a result of investors desiring stable, and higher, profits. Who are the investors? You and me. In our 401(k) plans, IRA accounts, or through ownership of index funds or individual stocks in a regular brokerage account. It’s the pension fund that pays the checks to your parents or grandparents. It’s the insurance company that needs to generate funds to pay claims. With investors demanding profits, Wall Street doesn’t want to see a bank own a lot of real estate. The employees at your bank will not risk their job by attempting to list John’s house for six months so that he can get a little bit of equity out of it. They are only interested in protecting the funds they advanced John, and he promised to repay. That’s why they turn to auctions. They can’t afford to dump John’s house because the proceeds might not be sufficient to repay the loan. Mary’s house, on the other hand, can be listed for $125,000 at an auction. They get their $15,000 and keep a pristine balance sheet while she loses $75,000 in equity that could have been captured were she able to list the property on the market long enough to receive a respectable offer. “What about John?” you ask. That’s the cruel part. Many banks are far more likely to restructure the payment terms to help him out of the situation because they could then legitimately keep it on the books as a “good” loan. They might offer a balloon payment at the end of the mortgage to lower present payments. They might permit two years of interest-only payments. Within the regulatory requirements, the sky is the limit, and it really depends on how desperately the bank wants to avoid hits to its profit margins. The biggest defense any investor has against foreclosure is liquidity. Say it over and over again. The bank is not so much concerned with the amount of money you owe them, just that you continue to make payments on time, without delay, so their numbers look great. Mary would have been much better off by taking those double and triple payments she had been making on her mortgage and putting them into a tax-free money market account or fund. (At the time this article was originally written, such funds were paying 4% to 5%. These days, you won't get much in the way of interest income, but it's still worth the reduction in risk.) If something happened, she could cover the shortfall by dipping into the reserve she had built. If it looked like the situation wasn't going to change, she could put her house on the market and try to extricate herself from the situation before facing financial catastrophe. The single biggest danger with a strategy that focuses on liquidity is the risk that someone spends the cash while maintaining the debt. An account with a large sum of unrestricted cash is simply too great a temptation for a lot of people. Maybe they get behind on their credit card bills. Perhaps they want a new flat screen television and think they’ll dip into the fund and pay it back in a few months. (It never seems to work this way for a large percentage of folks.) As such, if there is any possibility that you are inclined to spend the money on anything other than to make your house payment in the event of an emergency, it’s probably a bad idea. It really comes down to self-discipline and temperament. Another big danger is the temptation to go for a few extra percentage points of return by investing in riskier assets. This particular financial strategy depends upon safety of principal. For most people, this means highly liquid tax-advantaged securities such as a money market fund that invests in municipal bonds. In exceptional cases, those with highly specialized knowledge of specific markets (such as stocks or real estate) could invest these funds with reduced risk. The safest of all liquidity reserves is generally considered to be a TreasuryDirect account filled with Treasury bills directly held with the United States Treasury Department. Most investors should avoid this.